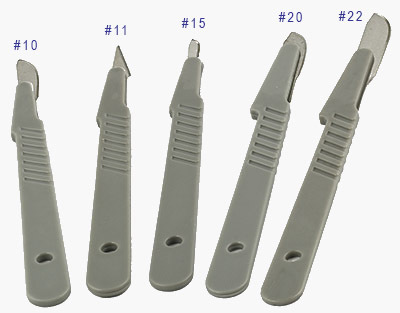 The premier quality Micro-Tec disposable scalpels consists of a high quality carbon steel scalpel attached to a robust non-slip gray ABS plastic handle. Precisely ground C1095 carbon steel hardened blades for excellent sharpness and cutting quality. Available with the popular smaller blades #10, #11 and 15 and the larger blades #20 and #22. Includes protective sleeve to cover the blade. They are sterilised with gamma-radiation and individually packed, supplied in boxes of 10. 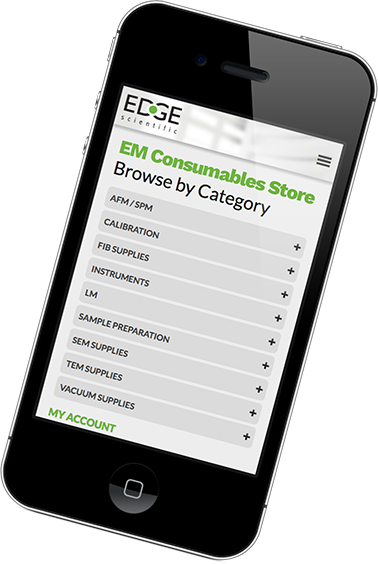 Ideal for microscopy preparation, education and cutting applications. With the ready to use disposable scalpels there are no contamination issues and no hazardous loading of scalpel blades on handles. For those who are not sure which scalpel is the best for the task at hand we offer a scalpel selection pack with 10 disposable scalpels (2 of each model).